Investing in health insurance is always worth. The more you invest in insurance policies the more secure future you have. Insurance means incredible safety for your financial future. 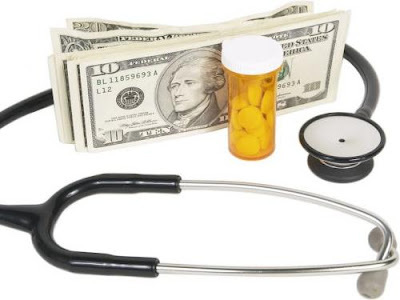 A health insurance plan is a must have to meet the financial crisis caused by health related problems. Since health insurance has gained such importance it seems nearly impossible to find a cheap health insurance plan. Finding an affordable policy is a daunting task but not impossible.Go through the tips given below to know how to get cheap health insurance. Employer Plan: If you are employed in a company, check whether you are insured through the employer. This is probably the cheapest way to get covered. You can have numerous plans to choose from. While you select a plan check carefully what the plan covers and what are left uncovered. If you are kind of person who needs to pay less visits to doctor, you can get huge benefit from the employer plan. Familiarize with the terms: Going through all the terms and conditions of a health insurance plan may seem to be a very difficult job. However if you wish to get the cheapest plan you need to familiarize with the concepts related to insurance. Some of the terms you should get familiarized include Preferred Provider Organization, Health Maintenance Organization, maximum deductibles, rider, Medical Information Bureau, out-of-pocket expenses and so on. If you have an idea about these concepts you will know exactly what you are getting for your money. Comparison Shopping: Compare various plans before choosing a policy. Going on line will give you the opportunity to compare end numbers of plans since most of the insurance companies have their own website where you will find the details of all the plans. This is the best way to compare plans because you don’t need to go anywhere or talk to anyone. You can do your research while enjoying the comfort of your home. It will also save you from the constant nagging of insurance broker. Invest a little time for research and you are sure to find a cheap health insurance plan satisfying your needs.